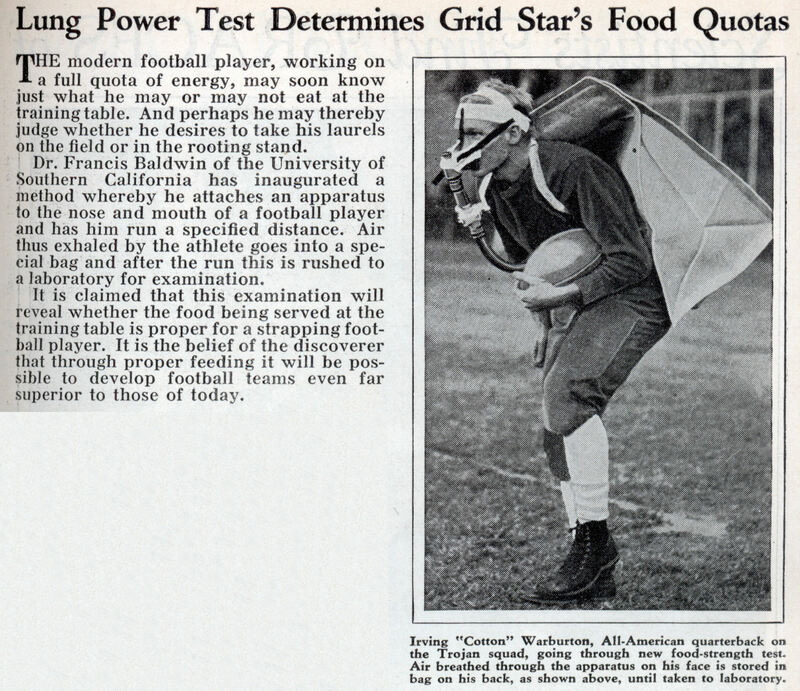 THE modern football player, working on a full quota of energy, may soon know just what he may or may not eat at the training table. And perhaps he may thereby judge whether he desires to take his laurels on the field or in the rooting stand. Dr. Francis Baldwin of the University of Southern California has inaugurated a method whereby he attaches an apparatus to the nose and mouth of a football player and has him run a specified distance. Air thus exhaled by the athlete goes into a special bag and after the run this is rushed to a laboratory for examination. 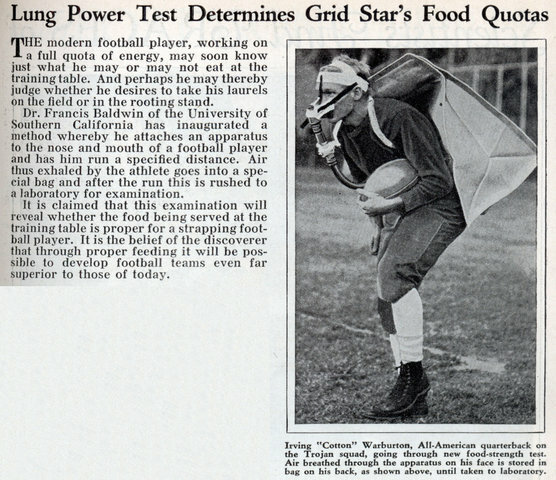 It is claimed that this examination will reveal whether the food being served at the training table is proper for a strapping football player. It is the belief of the discoverer that through proper feeding it will be possible to develop football teams even far superior to those of today. Its not so much for lung power but is still used today to assess metabolic rate in sports medicine http://www.engr.utexas….